Orthodontics is the branch of dentistry that corrects improper positioning of teeth and jaws. Crooked teeth and teeth that do not fit together correctly are harder to keep clean, always at the risk of being lost early due to tooth decay and periodontal disease, eventually creating extra pressure on muscles that can lead to headaches, shoulder and back pain. Teeth that are crooked or not in the right place can also detract from one’s appearance. Surabhi Dental Clinic uses a range of medical dental devices, including headgear’s, plates, braces, etc. also with the top orthodontist in Angamaly, to help provide the best orthodontic treatment in Angamaly. Orthodontic problems, which can result from genetic and environmental factors, must be diagnosed before treatment begins. Proper diagnosis involves taking photographs, x-rays and dental impressions, which enable our best dentists in indiranagr to make informed decisions about the treatment necessary. 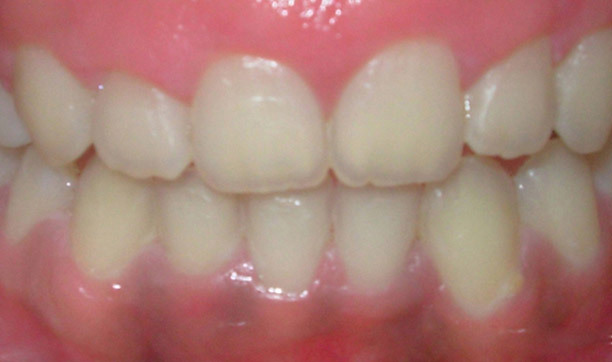 HOW DO BRACES STRAIGHTEN CROOKED TEETH ? Braces use constant, gentle pressure, which over time moves teeth into their proper positions. Your braces are at work every moment of your orthodontic treatment. The two main components of your braces are the brackets that are placed on your teeth and the main archwire that connects them.The bracket is a piece of shaped metal or ceramic that we affix to each tooth, and serves as a handle to control each tooth. The archwire is connected to each brace and provides the force needed to move the teeth. The wire threads through the brackets and, as the wire tries to return to its original shape, it applies pressure to move your teeth. Picture your tooth resting in your jawbone. With pressure on one side from the archwire, the bone on the other side gives way. The tooth moves. New bone grows behind. Orthodontic treatment can be carried out at any age provided the teeth and the supporting bone are healthy. There are certain problems that are best corrected at an earlyage. The AAO (American Association of Orthodontics) and the IOS (Indian Orthodontic Society) recommends that every child be seen by an orthodontist at the age of seven to rule out any problems that require early intervention. 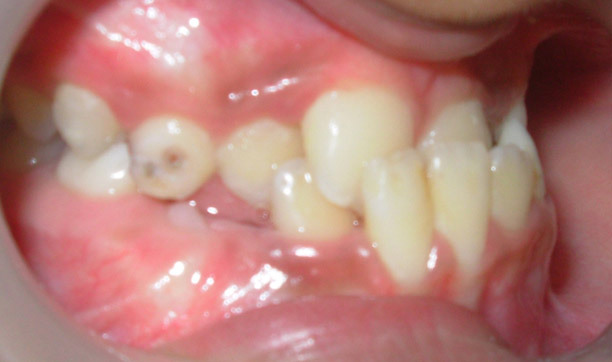 Generally the best time to initiate treatment is when most of the milk teeth have fallen off i.e. between the ages of 11- 12 years. Treatment duration varies according to the severity of the problem and ranges from 12-20 months for most patients. HOW PAINFUL IS ORTHODONTIC TREATMENT ? There is absolutely no pain during the placement of the braces. The teeth start feeling sore after a few hours and this would last for about 3-4 days after the first appointment. This soreness is completely manageable with the help of mild pain-killers. It takes most patients about a week to completely get used to the braces. This discomfort is minimal from the second visit onwards and usually lasts for a day. HOW DO YOU TAKE CARE OF YOUR BRACES ? You would need to take extra care of your oral hygiene during the treatment. Special toothbrushes & mouthwash are prescribed by the orthodontist. Diet requires some modifications in terms of avoidance of hard sticky food during the treatment as they may dislodge the braces from the teeth. More importantly, you would need to visit your orthodontist every 4-8 weeks for monitoring the progress of treatment and regular adjustments of your braces. Different Types of Braces will help give you the look that you desire. There are several types of appliances that can be used to achieve your goals of straight teeth, good bite, and a beautiful smile. Self Ligating Braces : The ultimate high-technology brace, their revolutionary design eliminates almost all friction between the wire and the brace, allowing teeth to move faster. 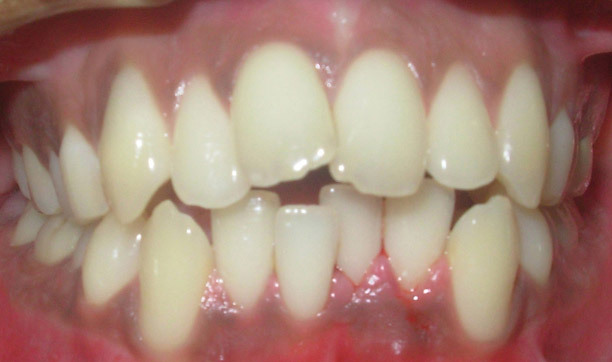 With no friction to overcome, lighter forces can be used to move the teeth. The duration of treatment is also somewhat reduced and the patients report less discomfort due to the lighter forces used. Colored ties cannot be used with this type of braces. Standard Steel Braces : Stainless steel braces are the most popular with children and teenagers. Different color elastics (more commonly known as ligature ties) can be used and the colors can be changed at each appointment. Mini Steel Braces : These are special miniature steel braces which are 30% smaller than the standard steel braces giving them the advantage of being more comfortable, less noticeable and easier to clean. Standard Ceramic Braces : They are hardly noticeable until you get close to the person wearing them. As they are ceramic, they may break more easily as compared to steel braces and also because of the greater friction between the wire and the ceramic brace, the treatment may take a few months longer. Metal Ceramic Braces : These braces are a combination of the good features of the steel and ceramic braces; the steel slot reduces the friction while the clear ceramic wings of the bracket give superior aesthetics. Lingual Braces : “Go on Smiling”, for Lingual orthodontics aims at just that. The brackets are bonded to the lingual surface, which proves as a main esthetic advantage over labial technique. The labial enamel surface is saved from chemical insults of etching and bonding procedures. Who is an orthodontist ? ORTHODONTIST is a dental specialist who specialize in treatment using braces which includes diagnosis prevention and treatment of dental irregularities & facial deformity. All orthodontist are dentist but only a very small percentage of dentist are orthodontist . You are in the office of a qualified Orthodontist who has the vision , foresight and the skills to proficiently place Orthodontic appliances and achieve corrections for your teeth , jaws and face that will last a life time . Why do we need Orthodontic Treatment? Improves your smile : A good smile adds up to the personality of an individual . A fabulous smile makes you attractive and also improves ones confidence level . Improves chewing : Teeth are an important of the digestive system . chewing of food by the teeth is the beginning of the digestive process before the food is passed on to stomach . So having a good bite improves the function of the teeth . Prevents other dental problems : Crooked teeth prevent maintenance of good oral hygiene . This can lead to other dental problems such as dental decay and gum diseases . 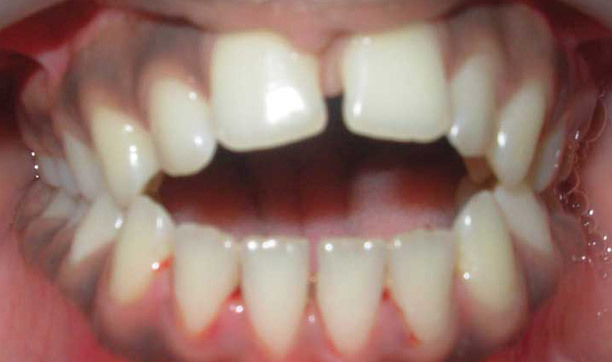 Risk of trauma : Teeth that are protruding out increase the risk of trauma to them . This is more in children during play or due to an acidental fall . Things that alert you to got an Orthodontist : Parents are often worried about their childrens teeth . It is good to consult your orthodontist if you have any doubt about your child’s bite . 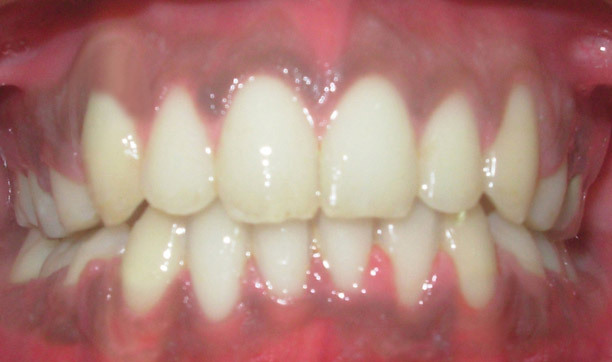 The presence of certain feautures should alert you to seek professional advice from an orthodontist . 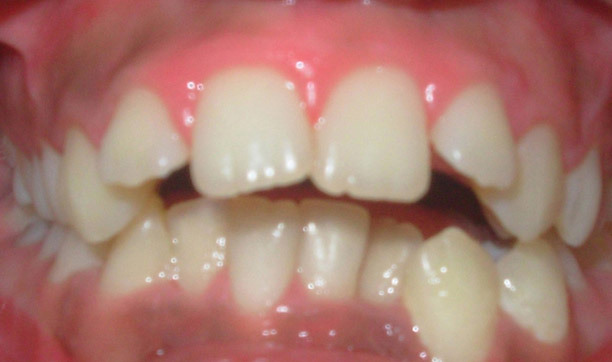 If milk teeth is shed off and the permanent teeth do not replace it . If teeth are crowded together . 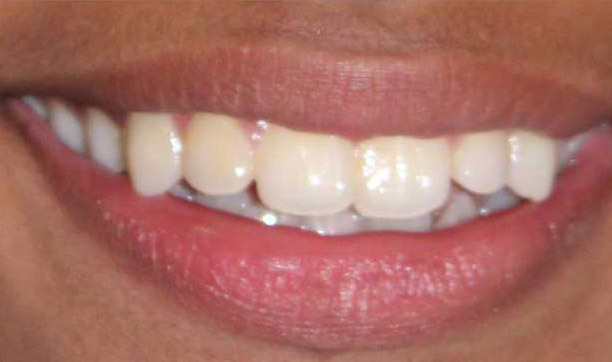 If front teeth are too far forward and the lip doesnot cover the teeth . Continued presence of habit such as finger sucking beyond 4 year of age often requires professional assistance to discontinue the habit and to rectify the damage done to the bite. 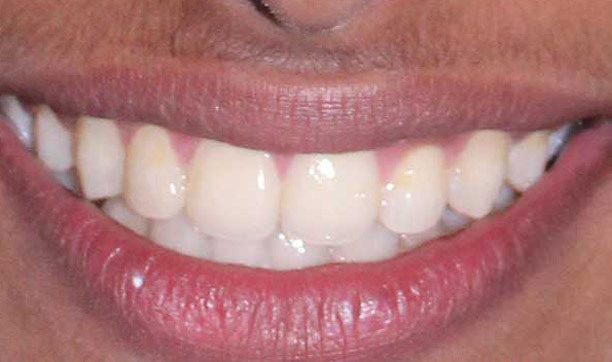 Normally the upper teeth are ahead of lower teeth. In case the lower teeth placed forward to upper teeth upper it is called cross bite and should alert you to immediately seek professional advice. Children who breath through the mouth due to some nasal problem . Difficulty in chewing or biting . 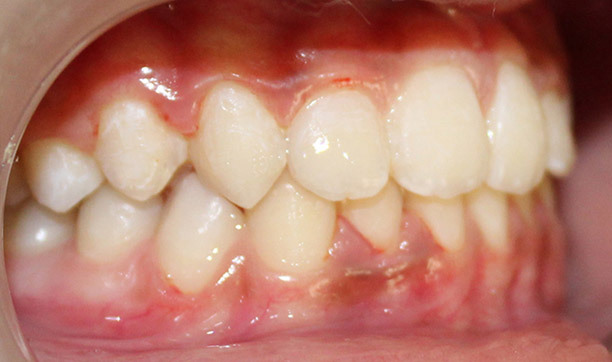 At what age should Orthodontic treatement begin ? Although orthodontic treatment can be done at any age they are best carried out in young children of 6 – 15 years age . What happens if the treatment is delayed ? At an early age the braces are less painful and the treatment duration is shorter . Advancing age makes the jaws harder and therefore makes it difficult to move the teeth and to mould the jaw . But orthodontic treatment can be carried out at any age. How long does orthodontic tratment take ? The duration of treatment depends from person to person and from one orthodontist to other . Orthodontic treatment with braces often takes 2 – 2 1/2 years. How long does it take to fix the braces ? Does it hurt when braces are being fixed ? It does not hurt when the braces are being fixed . Does braces cause pain in the mouth ? Are there any restrictions in eating when the braces are on ? You should be careful in avoiding hard , crunchy , and sticking food . Such as toffee , nuts , and gums as they may break the braces that are fixed to your teeth . When you are eating fruits like apple make sure you cut them into pieces before you eat them . 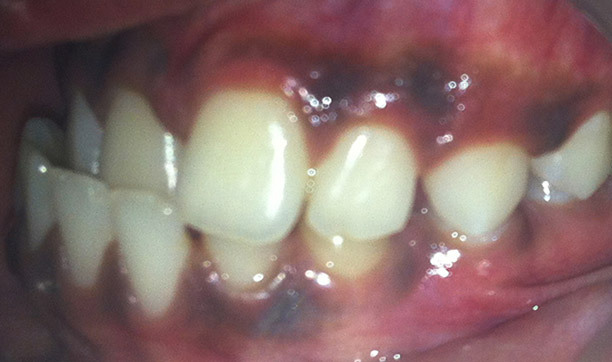 Any special oral hygiene procedures during treatment? Regular brushing should be carried out . Try to brush your tooth after every meal and before sleeping . The braces trap food stuff under them and predispose to dental decay and gum problems . Thus good hygiene is a must when the braces are on . Orthodontist will prescribe a special orthodontic tooth brush for you. Do I have to go back to the Orthodontist after the fixation ? The orthodontist schedules an appointment after 4 – 6 weeks . The follow up of orthodontic appointment is every 4 weeks. So tightening is done gradually at regular appointments so that the teeth and the surrounding tissues are not hurt. Am I too old for orthodontic treatment ? Well to be honest you can have braces at any age provided of course that your gums and surrounding tissues are in a healthy. As you get older your tissues become less elastic and the bone gets harder. so the duration of the treatment is likely to be more. 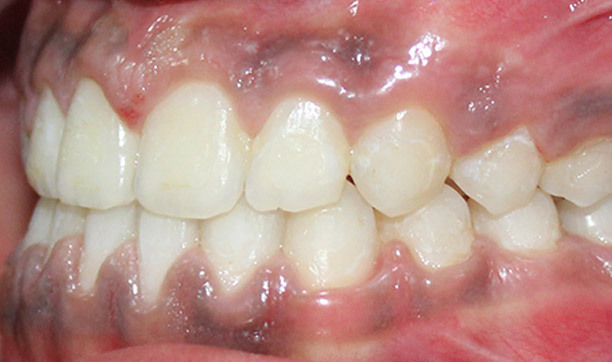 Retainers holds the teeth in the corrected position . 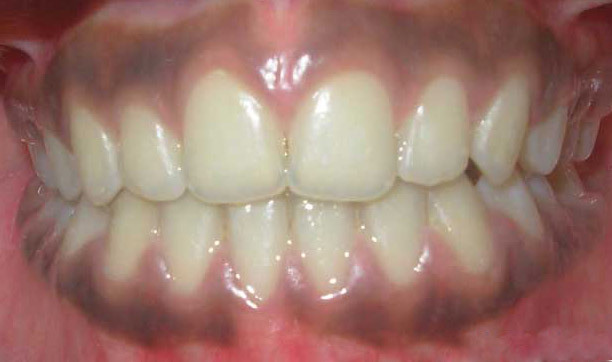 Removable and fixed retainers are available . Retainer should be worn for one year depends on case to case .